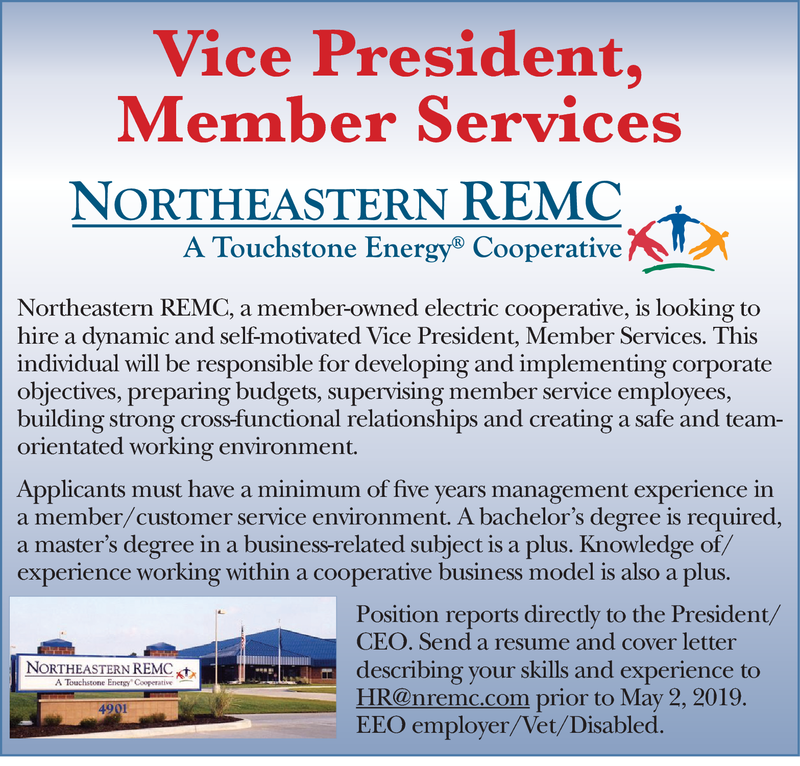 Northeastern REMC, a member-owned electric cooperative, is looking to hire a dynamic and self-motivated Vice President, Member Services. This individual will be responsible for developing and implementing corporate objectives, preparing budgets, supervising member service employees, building strong cross-functional relationships and creating a safe and team-orientated working environment. Applicants must have a minimum of five years management experience in a member/customer service environment. A bachelor's degree is required, a master's degree in a business-related subject is a plus. Knowledge of/experience working within a cooperative business model is also a plus. Position reports directly to the President/CEO.